Of the three Big Island girls volleyball teams in first round action at the state tournament, only one proved successful. Unseeded in Division II, Hawaii Preparatory Academy needed all five sets to conquer Hawaii Baptist and move into the quarterfinals. HPA plays No. 3 seed Seabury at 5 p.m. Wednesday. 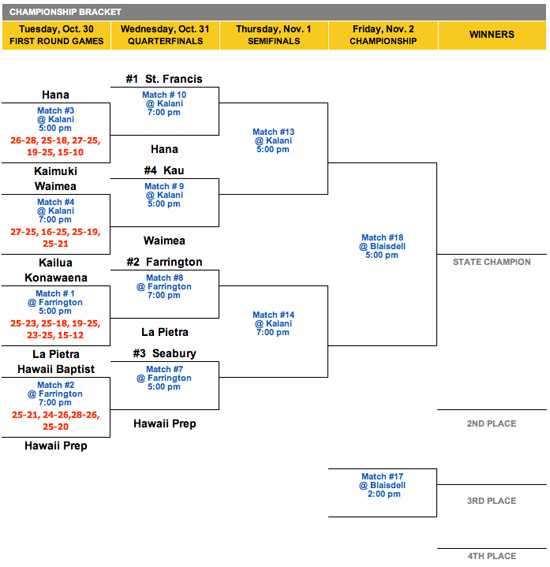 In Division II, Konawaena was knocked into the consolation bracket by La Pietra in five sets. In another first round match-up, Division I Hilo fell to Pearl City in five sets. The second Big Island team in Division I, No. 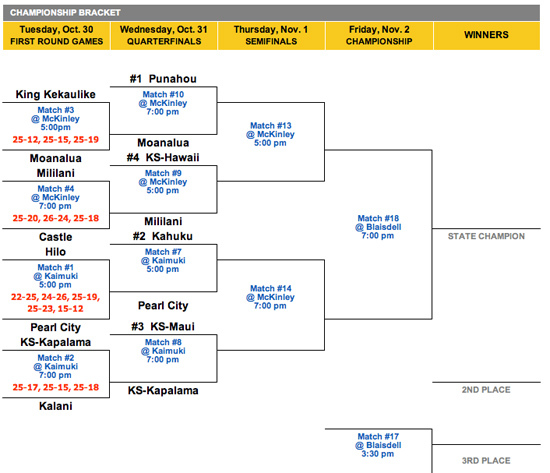 4 seed Kamehameha Schools Hawaii kicks off play at 5 p.m. Wednesday against Mililani. And in Division II, No. 4 seed Ka‘u is in action at 5 p.m. Wednesday against Waimea.